Hard red winter wheat spills out of Nicole Berg's combine July 24 during harvest. Chandler Goule, CEO of National Association of Wheat Growers. Bryan Brock, senior vice president for Northeastern Washington for Northwest Farm Credit Services in Spokane. Marva Ulleland, vice president of operations for insurance services at Northwest Farm Credit Services in Spokane. Scott Faber, vice president of government affairs for the Environmental Working Group. Daren Bakst, senior research fellow in agricultural policy for the Heritage Foundation. Paterson, Wash., wheat farmers Frank and Nicole Berg, father and daughter, consult in the field July 24 during harvest south of Prosser. Nicole, secretary of the National Association of Wheat Growers, says wheat farmers can't remain viable without crop insurance. Paterson, Wash., wheat farmer Nicole Berg, secretary of the National Association of Wheat Growers, harvests a field July 24. Several years ago, drought meant it would have cost Berg and her family more to run the combine over the field than it would have to harvest wheat with a yield of 3 bushels per acre. Crop insurance keeps family wheat farms in business, Berg says. PATERSON, Wash. — Several years ago, drought decimated Nicole Berg’s wheat crop. To break even, her family needed a yield of at least 7 bushels per acre, but a crop insurance assessor estimated Berg’s wheat would yield just 3 bushels per acre. That would bring in less money than it would cost to harvest the crop. Berg, who is now secretary of the National Association of Wheat Growers, and her family instead received a payment from the crop insurance they bought that year for about 70 percent of their farm’s average production, about 25 bushels per acre, minus the wheat remaining in the field that they decided not to harvest. The scenario is not unusual. In many areas across the West, Midwest and South, farmers can experience multi-year droughts, Berg said. Yet crop insurance, a key part of the federal farm bill, continues to draw criticism from both conservative think tanks and liberal environmentalists inside Washington, D.C.’s Beltway. Some organizations argue crop insurance needlessly subsidizes farmers. Bakst told the Capital Press his organization recommends moving away from subsidies to a “more properly” focused safety net, emphasizing policies insuring yields instead of those insuring revenues. “It’s about making changes that make sense for everyone — farmers, taxpayers, consumers and everyone across the board,” Bakst said. The Environmental Working Group, an environmental group, claims farmers who are “millionaires and billionaires” should shoulder more of the cost of insurance, and recommends setting limits on federally supported insurance. 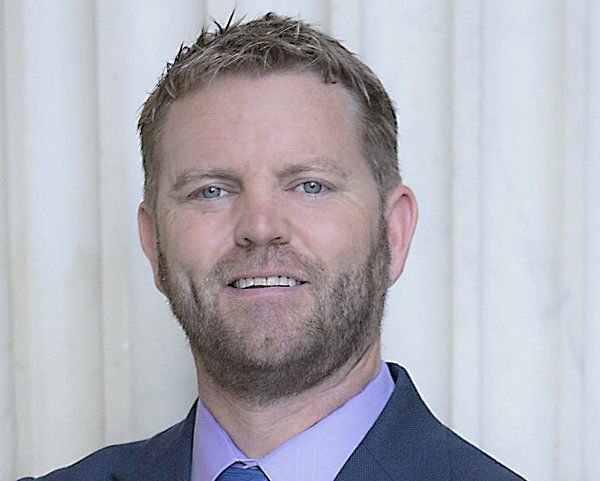 Scott Faber, vice president of government affairs for the group, believes taxpayers should know how much crop insurance support farmers receive. Crop insurance isn’t like homeowner’s insurance. A homeowner might pay for insurance but never have a fire or other catastrophic loss to a house. For farmers, though, it’s not a matter of if disaster strikes, but when. Prolonged drought can bring even the most successful farmer to his, or her, knees financially. Under the 2014 Farm Bill, when farmers purchase crop insurance, they share the risk of a drought or other disaster with one of 15 private insurance companies and the federal government, which “reinsures” the insurance companies for a pre-determined amount of excessive losses. In good years, the companies also share their gains with the federal government, according to the National Crop Insurance Services, a crop insurance industry group. The idea behind the public-private partnership included in the Farm Bill was to avoid crop disasters like those that occurred from 1989 through 2012 that forced Congress to pass 42 emergency bills costing $70 billion to rescue farmers. Depending on the policy, farmers can cover as much as 75 to 85 percent of a crop for naturally occurring damage and price loss. According to the USDA Risk Management Agency, 86 percent of total U.S. acres were covered by federal crop insurance in 2015, not including hay, livestock, nursery, pasture, range and forage. Eighty-nine percent of principal crop acres — wheat, barley, potatoes, rice, soybeans, corn, cotton, grain sorghum, peanuts and tobacco — were covered, as well as 74 percent of all fruit and nut crops and 34 percent of vegetable crops. The agency offers a variety of policies that cover crop yields, revenues, livestock and whole-farm revenue protection. The most common policy by far covers individual farm revenue. It represents more than 80 percent of the entire crop insurance portfolio. The cost of purchasing crop insurance consists of an administrative fee and the insurance premium. The total premium amount paid by the producer can be adjusted by a premium subsidy paid by the Federal Crop Insurance Corp. The amount of premium subsidy depends on several factors, including the coverage level selected by a producer. Last year, the agency paid out $5.22 billion in crop insurance indemnities to farmers across the nation, including nearly $163 million to farmers in the Pacific Northwest. Crop insurance is far more likely to cover a crop loss than homeowner’s insurance will cover a loss such as fire, said Ben Thiel, director of RMA’s regional office in Spokane. He occasionally hears from people who don’t think they need crop insurance, but always have homeowner’s insurance. That’s one reason crop insurance is provided with the help of the federal government, as opposed to only the private sector, Thiel said. “The risk is so great that the private sector can’t offer multi-peril crop insurance without the assistance of the federal government being involved in a public-private partnership,” he said. Some farmers are required by their banker to buy crop insurance. “When the combine’s worth $300,000 and you’ve got to make a payment on the combine, they want to make sure you’re going to make your payment on the combine,” Berg said. Crop insurance is the only “sure bet” for farmers, agreed Marva Ulleland, vice president of operations for insurance services for Northwest Farm Credit Services in Spokane. Improvements to crop insurance can be made, said Chandler Goule, CEO of the National Association of Wheat Growers. But getting rid of it or shrinking the program so that only small farmers have access would only increase the cost to all farmers, and increase the cost of food for all Americans, he said. Groups such as the Heritage Foundation and the EWG want to get rid of crop insurance, Goule says. Their messages are well-crafted for a Washington, D.C., crowd, and for members of Congress from urban areas, designed to raise money and are usually misleading and false, he said. Very few farmers could be viable without crop insurance, Goule said: those who have been farming a long time, and are at the point where they can weather two or three years of drought. But that’s a small, single-digit percentage of growers, he said. Goule expects attacks on crop insurance to continue. Advocates and critics alike say the House and Senate versions of the Farm Bill did little to affect crop insurance this go-round. Members of Congress worked to “do no harm,” said Texas Rep. Michael Conaway, chairman of the House Ag Committee, during a recent visit to Spokane. He hopes to pass the new Farm Bill by the end of September, when the current bill expires, he said. Berg, the Paterson farmer, said growers need to share the value of crop insurance with urban audiences. She compares it to car insurance, when a vehicle is totaled.